Thanks to technological innovations, cool concepts, new ships and big refurbishments of existing vessels, there’s never been a better time to be a cruise fan. Whether you’re new to cruising or a longtime fan, there’s likely to be something coming down the proverbial pike that will tickle your fancy. Here, in no particular order, are a few of the big-ticket items we’re most excited about! It’s hard not to be stoked about the sister-ship to Horizon and Vista… even as we wonder what new features might be added when she joins the fleet next November. After all, Vista introduced Bonsai Teppanyaki, and then Horizon rolled out the first-ever Guy’s Pig & Anchor Smokehouse/Brewhouse, which has quickly become a favorite among cruisers. 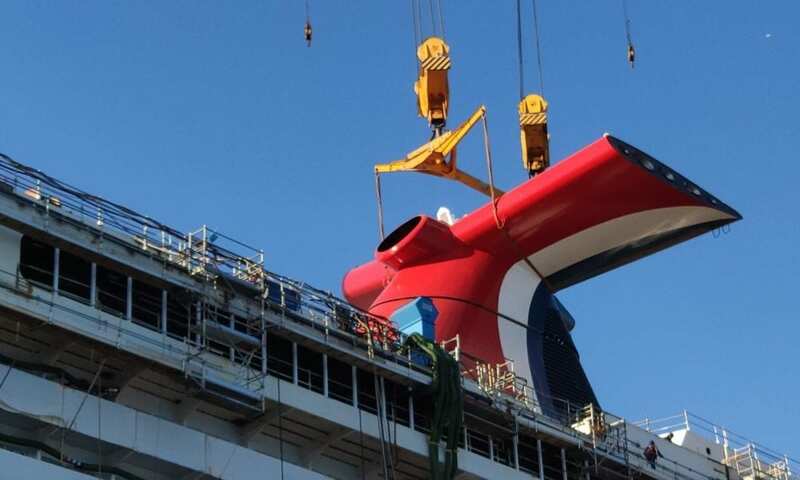 As if that weren’t enough, there’s already the next class of Carnival ships being developed. However, not much is known about the Carnival Mardi Gras and the yet-unnamed ship aside from the fact that they’ll both be really big and fueled by liquified natural gas (LNG). The first of three ships being rolled out by Virgin Voyages has a lot to be excited about. Maybe you like the fact that sailors must be 18 or older, or the fact that they’ll have the first-ever tattoo parlor at sea. Although the ship’s debut is more than a year away, Virgin’s done a great job at creating excitement by slowly doling out information. Curiosity may have killed the proverbial cat, but anticipation just leaves us dying to see what the new-to-cruising company has to offer. For years now, cruise lines have been operating under the “bigger is better” theory. But those who’d rather not sail on a megaship will be happy to hear that Norwegian has on order six ships, as yet unnamed, in the Leonardo class. These will be bigger than the line’s Jewel class ships, but smaller than the Breakaway-Plus class. Not only will this give the line more flexibility when planning itineraries (after all, some of the megaships can’t access smaller ports), but it will also give cruisers more options as far as ship sizes. If you’ve been on any of the newer ships offered by the major cruise lines, you know that the future is now when it comes to technology. Want to use your phone to order a pizza and have it delivered to you by the pool? Go for it. Want a robot to mix you up a cocktail? Done. But guess what? The future is also still being developed, as all of the lines are investing millions of dollars in researching and developing ways to use technology in ways that will (they hope) improve every aspect of your cruise… starting before you even arrive at the terminal. Want to order a pizza by the pool? Carnival is testing a program that will let you do so via their Hub app. Okay, let’s just get this out of the way right up front: We’re pretty sure nobody is going to actually refer to Royal Caribbean’s island by this new, full name. They’ll still call it Coco Cay long after all the currently-in-progress renovations are finished. That said, we suspect this major investment will pay off in a big way for the cruise line. For one thing, the new Coco Cay will introduce a whole slew of for-fee experiences which should bring in big bucks. And while some cruisers will grouse about this, is it really any different than going on a shore excursion which costs extra? Plus, there will still be plenty of free activities (including the always cost-effective soaking in the sun) available to everyone. It’s good to dream, right? Well, when we dream, it’s about the 700-square-foot balcony offered to those lucky enough to book the Sky Suites on this upcoming Princess Cruise Line vessel. Think about that for a second: That 700 square feet is just the balcony, which is furnished with a dining table for four, a huge day bed, numerous loungers, an exterior bar complete with a TV. Talk about a perfect spot for entertaining! Sure, the suite itself sounds impressive as heck, but you’ll forgive us if we focus on the balcony, where we’d likely spend every waking moment. With the cruise industry booming, these are just a few of the things we’re looking forward to… and we’ve only just scratched the surface. Disney Cruise Line will be adding to its fleets over the next few years, Royal Caribbean’s Navigator of the Sea is going to get a makeover (much like the one sister ship Majesty of the Seas underwent), Holland America’s Nieuw Statendam (sister of the Koningsdam) will feature the Rolling Stone Rock Room which promises to offer all kinds of nightly entertainment. So as you can see, future of cruising is so bright, we have to wear shades… even if we’re not out on deck soaking up sun. What new ship or feature are you most excited about?